Summary: The compendium of creations (SingleEarth, the Bruja guilds, the Midnight empire) intertwine in an exciting, unsettling plot featuring happenings both accidental and deliberate that will forever change the alternate landscape inhabited by vampires, Tristes, shapeshifters et al. It all begins with a wrong turn and a crashed party, and from there it's an epic clash of elements and the promise of more chaos still to come. At the center of the storm is Jay, a young vampire hunter that no one would ever have predicted might be earth's best bet to thwart the rise of a vampire-controlled slave empire called Midnight. Teens will find themselves drawn to Jay, who struggles to prove his worth even while he has his own fears that those who have written him off may be right to do so. 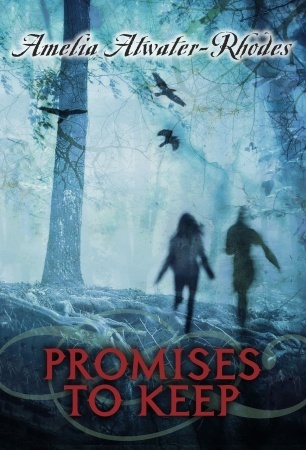 Review: Before going into this, I had no idea it was the ninth book in a series. Well, maybe that explains why it was so confusing. Because I had no idea what the heck was going on for about 95% of the book. Jay is a vampire hunter who goes to the wrong party at the right time. While a vampire ruled empire called Midnight threatens to take over the world, Jay is ready to fight them, no matter what it takes. Yeah, that's basically all I can remember about what happened. The world Jay lived in was so complex with so many characters that were different species that were part of different groups and I could not keep a single one straight. All I knew was that Jay was a witch and a hunter. That's it. I had no idea what SingleEarth was or who Jay even worked for. I didn't even fully understand exactly what powers Jay even had. It just seemed like he walked around doing whatever he pleased, which often included getting hurt or getting into trouble. I kept on reading hoping something would click and I would finally understand what was happening with all of the characters. But that "aha" moment never happened. I was probably more confused at the end than I was at any other point in the book. Sometimes, too, Jay seemed way older than 19, so I often forgot I was even reading a YA book. Maybe I was just in a weird mood where I couldn't comprehend what I was reading, but this one was pretty hard to get through. Hopefully those who have read the other books before this have a better sense of the world Jay lived in. Because I was so lost. If you're new to this author, definitely pass on this one! I just finished this book. I'm a huge fan of the author. I've read all her books. But this one (book 9) and All Just Glass (book 7) require background info and a really good memory. I enjoyed the story, but I missed that Jay was only 19 also. I didn't like how ambiguous his sexuality was. He seemed genuinely interested in the male vamp who seemed interested in him back, but also had a lover. He seemed attracted to the female, partly evil vamp, but didn't flirt. It's fine if he's into both, but he was so flippant about everything, his morals, his sexuality, his profession as a hunter. Then the sum up at the end left me completely out of the loop because I couldn't remember most of the characters from the previous books. Her shapeshifter series is much better, especially if you enjoy fantasy.